Harper dribbles the ball down the court, guarded by Ward, head fakes right, passes left to Pippen. Pippen up against Oakley, looks to see if Longley has posted, but Longley hasn't posted, Longley is tangled with Ewing. Longley’s arms curl around Ewing's arms while Longley's little eyes look to lock with Steve Jaffe's eyes, but Steve Jaffe's eyes follow the ball. Pippen drives by Oakley, then kicks out a pass to Kerr who quick bounces it to Jordan. Jordan holds the ball, Jordan's eyes twinkle. Jordan passes it back to Kerr who is alone behind the three-point line. Kerr takes a breath, grimaces, jumps the ball into a spiraling three-point attempt, which hits the rim and sails out of bounds. The spectators react and react again. 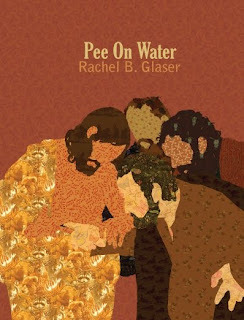 "Pee On Water" is the title story of Rachel B. Glaser's first book, recently released by Publishing Genius. The whole thing can be read online at We Are Champion. It was first published in the NY Tyrant. Glaser lives in Western Massachusetts. think, "oh yeah, that's right." Sam Pink has written several books. His website is here. Our diet then consisted of whatever misshapen fish Father managed to bring home from the polluted estuary by our neighborhood. He had grown worried at the inconsistency with which the government delivered our rations, and so one night I found him out in the yard, his head under a decayed log, night crawlers knotting themselves together in the beam of his flashlight. These he pocketed when he saw me peering at him from beyond the vinyled side of the house. I asked him if he planned to eat them all by himself, but he only shook his old fishing pole at me and disappeared down the dirt path. Later, as my sister and I bathed sick, sleeping Mother, I whispered that I hated to imagine what went on beneath the surface of the water, the quick choreography of a strike and all it entailed. My sister thoughtfully dipped her sponge into the bucket and then asked me why. Because neither of them have a chance, I said. That’s the beauty of it, she said. That’s something worth imagining. Years later, after all of this had happened, I began to understand her words, why a worm will wrap itself around the same hook that stabs its body, why a fish will inhale fully a barbed lure. When you have hung long enough at the end of a wire, you tend to forget that the force traveling along its length belongs to a life not your own. When we had enough fish in the ice chest, Father took time off from the estuary to travel the streets of our subdivision with an axe in one hand, a large net in the other. We watched him with an old pair of field glasses. We sat on our roof and tracked his progress through overgrown backyards, around the weed-filled hulks of outgassed cars. We marked down in a little notebook the paths he traveled to get an idea as to the extent of his comfort zone, how far he seemed willing to wander. As we watched, he waded through the various drainage ditches that cut between the sagging homes. In the mud, he draped his net. 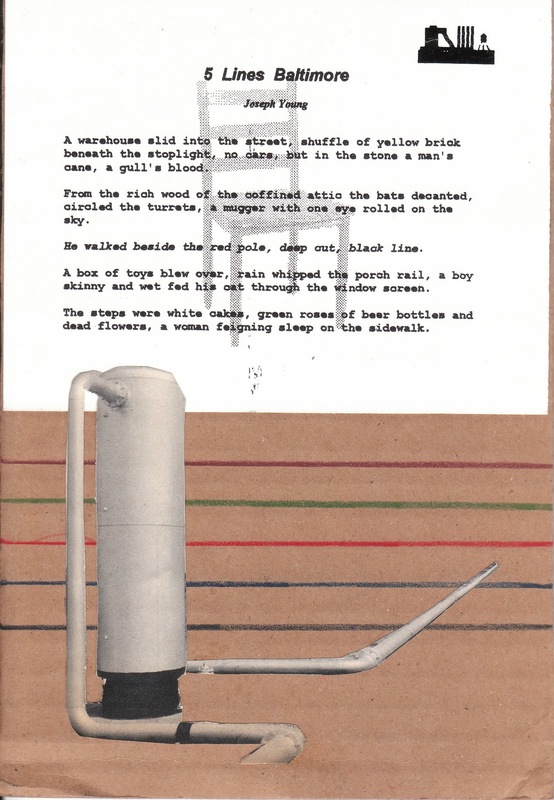 The channels of frothy water carried the neighborhood’s detritus to his feet, and when he was satisfied that enough time had passed, he bent down to sweep away with the back of his hand the urine-colored foam that had gathered around him. Father filled the toolshed with the spoils of his hobby. Each time he returned home, an old burlap sack stuffed with goods draped over his back, he rested in the mudroom of our house, his breath snorting through his nostrils, before sifting through the muddy junk. As his collection outgrew the shed, he dumped whatever new things he had acquired into our house, and we soon lived in a museum, a memorial of sorts to that old past time called citizenship. Lining our shelves, hallways, and counters, tucked into our cupboards and closet space, tripping us up as we walked across the carpets were the following: variously shaped wads of tinfoil, rusted television antennas, broken fanblades and electric batter mixers, those little magnetic clips that attach to refrigerator doors, three baskets full of dolls and their busted parts, a prosthetic arm, eighteen hamster wheels, those colorful plastic salad spinners one used to find in grocery stores, stacks of dinner plates, mismatched pairs of boots, cardboard sheaths of windshield wipers, boxes filled with chewed up clothing, a lawnmower engine full of beetles, various sports trophies and lampshades, moldy books and picture frames, bottles of unknown liquids that choked the house with fumes on the hotter days. Father wandered through the rooms at night, his arms cranking through the humid air around him, and muttered the names of the objects that appeared in the beam of his flashlight. We liked to hope that the ritual relaxed him somewhat, gave him a brief respite from the challenges of shepherding his family through this latest, murderous century. My sister and I believed maybe he thought that by stacking the world around him, he could somehow control it, keep us safe. We had not yet learned to interpret the expressions on Father’s face – indeed, so poorly did we manage to judge Father’s moods, that we perceived him to lack all sorts of emotional mechanisms: forehead, eyebrows, nostrils, lips, chin. These a more informed son and daughter might use to navigate their childhood. Instead, we often flailed blindly beneath the weight of his wrath, his sadness, his joy. The fault, however, belonged to us. Our development as young human beings suffered until my sister created a system of evaluation based upon Father’s bodily attitudes. She charted certain positions of his limbs, the heaving of his torso, at what angle his spine came to rest, and then she cross-associated these with his known personalities, his various temperaments, his ability to love us and to hurt us. Certain postures meant that we should refrain from treading too heavily in his presence. From others we knew that we might eat that day and go to sleep satisfied. We found him thus amongst the rubbish of our yard, neck outstretched, arms above his head, his fingers curled and broken. This position we had come to associate with the idea of surrender, with the phrase PLEASE HELP ME. He had vanished several days ago from our lives – we had lost him through the field glasses during a particularly smoggy afternoon – and certain of his responsibilities had become our own until his muted return. What horror he had pursued during his absence we did not discover until too late. Our supply of food had dwindled away, so we led senseless Father to the water’s edge the following morning with the hope that he might catch us dinner. Behind his back, he clutched a coffee canister full of worms so as to prevent their seeing the rippled surface of the estuary. Father had not spoken to us since he had appeared in the glare of the floodlights the night before, unshaven, his face flecked with spit, his body hair missing, the stink of burnt flesh all around him. We had spoken quietly to him, reassured him with the kindest words imaginable, words like fluorescent and uranium, recycle and pasteurize. He had clenched together his fists, stomped into the mudroom, and fallen asleep against the wall, his hands never releasing that bulging burlap sack from their wicked grip. Father grunted, his feet in the water, the sky above him devoid of any life except a few seagulls flying aimlessly, without purpose, miraculously wedging their way through the air. The canister shook in his yellow hands, and his knuckles clicked under his skin, crunched together like pebbles beneath a shoe. Why did he not say a word, we wondered. Had he suddenly lost his familial vocabulary, traded it off for another sort? Had he frittered away his language in the remoter parts of town, the lifeless areas of the city in which the street people dwelled? In which the bodies crusted over and sizzled, slackwise and pasty? Had we the ability to see his eyes, I like to think they would have glistened at our questions, at our attempts to bring him back to his son and daughter, to the reality that was our shitsoaked little cul-de-sac. Dutch oven, my sister said. The canister shook behind his back and its contents plinked against the tin. The awful sounds a worm will make as it nears its fate. Then came time to bait our hooks, which we had gang-tied into pairs and rock-sharpened especially for the occasion. Father suddenly broke his silence, spoke at length of the various types of worm presentations we might create: the weoasvknjdsiosdf, the oenwfiudftrog, the adsarad, and other gibberish names we could not fully understand. He stood upright in the shoresand, listing somewhat to his left like an overburdened tree. His eyeflaps fluttered innocuously in the morning sunlight as he spat and mucated his way to a conclusion. We hoped that his brain had begun some elaborate rebooting process, that soon he would return to us as the father we had known: perhaps laugh, tell a story about the dangers of the rare treble hooked lures of his childhood, lures we had never seen, but in our need to remember better, past lives, associated with the musical scores that had sprung into our heads each night Mother sang us to sleep in the cramped berth of Father’s long lost fishing trawler. Those nights we cherished as the happiest of our lives. Father bowed to us, tossed the fishing rods upon the ground, and revealed the canister of worms he had been hiding behind his back. He set it upon the shore and bent upon his knees, carefully picking through the canister as if searching for the perfect bait with which to garnish his own hook. As he bubbled away, slobbered upon his chin, my sister and I looked down into the jar to discover slick masses of bloody fingers: long, gnarled fingers; short, rotten fingers; the stubbiest, fattest fingers we had ever seen. We saw pale, pinkish fingers, perhaps from children no larger than ourselves. We saw fingers with nails gnawed down to the quick. And upon one finger we saw the golden glint of a simple ring, an odd, startling delight in all that gore. 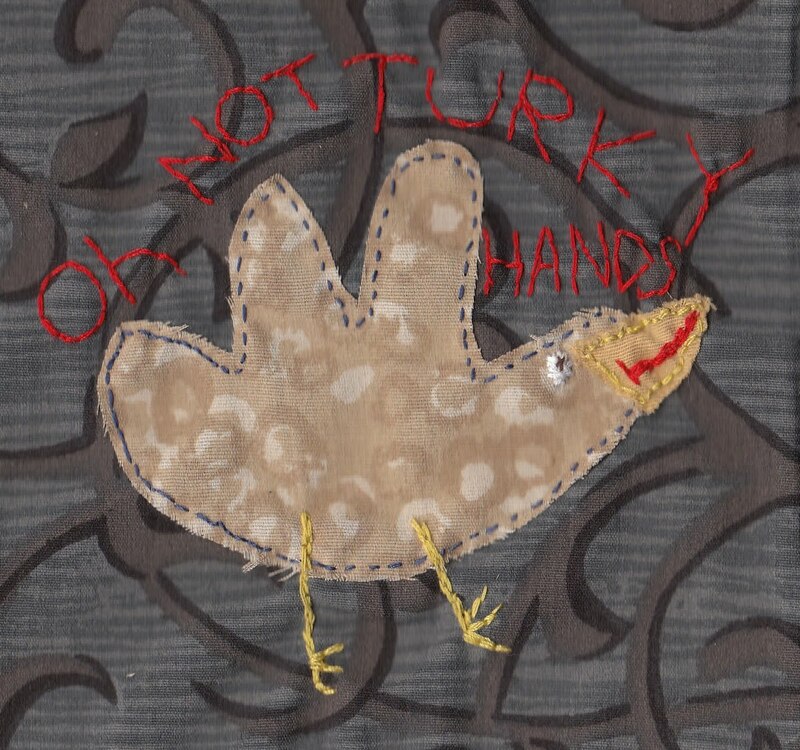 The fingers seemed different, though, as if they had been prepared in a certain way. Only when Father finally found one that suited him and easily slid it onto his own hook, did we realize that he had cauterized them, deboned them, leaving behind their slippery meat and skin. What Father had suffered during his brief absence, what he had inflicted upon others in his derangement, my sister and I could only imagine. We each held for his abilities a newfound, horrified respect, and with this respect we carefully guided him away from the estuary when he grew distraught by his failure to draw a single bite. He had suddenly cracked the rod over his knee, ran with the canister into the shallows, and crazily tossed handfuls of the fingers into the air, pattering them down into the water like some fleshy waterspout. My sister distracted him by locking her thumbs together and flapping her delicate hands softly about his face to coax him onto the pathway home. And I pressed lightly my tiny head into the small of his back and motored him along, occasionally losing my footing in the fetid mud, sobbing, filthy. 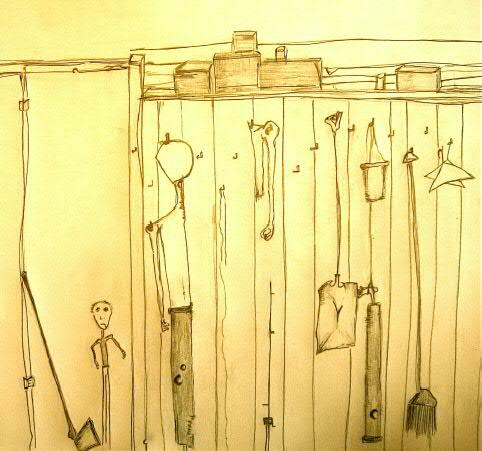 We locked him in the toolshed in our backyard, and my sister stood guard that night, leaving me free to crawl into Mother’s bed until the sodden morning. Mother awoke at the frantic scrubbing of my body against hers and loosed a hand from the damp sheets to cover my ear. Despite the pressure of her palm against my head, I could still hear the mangled shouts of Father come rattling through the windows. His screams recalled in my head the sight of the fingers as they bobbed about the estuary, the day’s bloody punctuation against the surface of the water, and the occasional glint of a strike as the fish rose to meet them. My sister did her best to keep me away from the toolshed and the awful scene within its warped walls. She feverishly nailed shut the front door, spray painted the musty windows, tried to distract me with promises of honey for my oatmeal, but she soon had to tend to Mother, who awoke suddenly, jerking with pain, shouting hoarsely and rending the bedsheets between her cracked teeth. As my sister dealt with the seizure, I snuck into the backyard, pried away the nails in the doorframe of the toolshed, and then slipped inside to investigate. 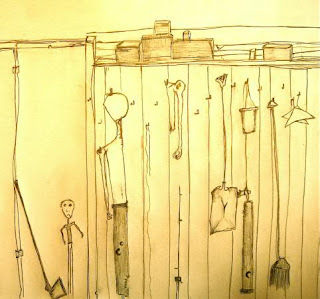 I stood in the weak light and saw that Father had completely dismantled himself overnight, had stored his bits and parts around the toolshed, as if he meant for us to use him later on, perhaps to build some heartstopping machinery: his torso, he severed cleanly in half and hung by the door; across the wall, one muddy foot and shinbone twirled from a length of twine; between them, the shiny knob of his shoulder and its rigid arm dangled from a crooked hook. Here I stood the closest I had ever been to Father. I had always thought of him as a man swollen with gore, a man who carried about more than his fair share of internal organs, a giant of a man held together with sinews and uncorrupted bone. But here, in the tight confines of the toolshed, he looked liked a different man, a man broken apart by forces beyond his control, a cold man, a dust-filled man, a man of makeshift splints and baling wire, all of that ancient, mythic mess that goes into the creation of a man, a man not of this time, a man existing before the men of this reckless era. I looked at the surface of his skin, the suncrazed, ridged landscape of it, with its hairs and moles and discolored scars. 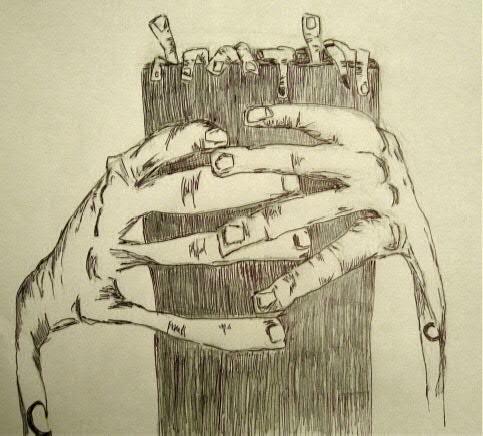 I looked at the hands, at the fingers twisting off of the palms. And I reached up and broke one off, put it in my pocket to celebrate the only way he had ever loved me: the beckoning finger, the shaking finger, the magic finger, the pointing finger, the goose finger, the trigger finger, the walking finger, the puppet finger, the tickle finger, the double-jointed finger, the lightswitch finger, the finger pressed to the soft pulp of my trembling lips. Pocketfinger was originally published in October 2008 as part of PG's chapbook series. 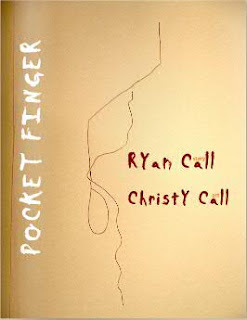 Ryan Call's stories appear in Caketrain, Hobart, Lo-Ball, The Collagist, Mid-American Review, New York Tyrant, The Lifted Brow and elsewhere. He is the Associate Editor of NOÖ Journal. He and his wife live in Houston. Christy Call lives in Chattanooga and at www.ChristyCall.com. First appeared in Everyday Genius on Thanksgiving 2009. You are driving and trying to find a place to stop. You consider something called The Sea Power Museum, but when you pull in to the gravel driveway, it is empty, and there is a house with a shirtless man on a porch. There are three hound dogs on the porch, too, and as one they raise their heads to look at you. The cheeks on one of the dogs flap. You are listening to the radio, not feeling too good myself, but interpret this cheek-flapping as a bark. It happens again, this cheek-flapping, but they are the cheeks of a second dog. And then it happens to the third. The dogs do not get up, and their tails don’t wag. They just look at your car, and flap their cheeks at you. The shirtless man is in a rocking chair, rocking toward you and away from you. His dogs flap their cheeks, and he rocks, and the whole thing is far too Deliverance, like your life has ended in reality, and gone off to a tangential world of movie clichés. This is sometimes how you view life: you are, day after day, hour after hour, minute after minute, second after second, given choices to make, and you make them, and off you go. And also, you don’t make choices, but those possible paths move off on their own ways, anyway. In some of those possibilities, life becomes a movie, or it turns out it’s all a book that lives with its own rules, its own relationship to, say, Newtonian physics. It’s a cartoon and you might get hit on the head by a falling anvil. You look at the shirtless man and think you have jumped from the normal life to the life that is made up of movie clichés, and so you put the car in reverse, and you back slowly away from the man and his flapping-cheeked dogs. You get back on the road and wonder why Wyoming has a sea power museum. You drive until you hit Interstate 25, and decide you are no longer happy driving west, and will now drive south. This is a selection from A Jello Horse by Matthew Simmons, which was published in May 2009. Matthew Simmons is also the author of The Moon Tonight Feels My Revenge, recently published by Keyhole Press. This piece was originally published in IsReads issue 6. Matthew Savoca's most recent book is called Long Love Poem with Descriptive Title. This piece originally ran in Everyday Genius in August, 2009, and was reprinted in that year's Best of the Web. Aaron Burch edits Hobart and, since this piece was published, has seen the release of his book How to Predict the Weather from Keyhole. Are you tired? If so, skip to #5. #1. Of Morning and evening smoke rising in sleepy little towns and pueblos. #2. Of chuck wagon cooking fires out on the range. #3. Of campfires by the singing trout stream. #4. Have jolly picnic fires on the mesa and in the canyon. #5. Of the tall yarns around the glowing campfire. You will need a plate. You will need a saucepan. You will need two cans of Welsh rabbit. You’ll need a can opener to open them because you’re going to make Easy Lobster Rabbit. So you’re going to need one 5- or 6-ounce can of lobster, cubed and drained. You’re going to need mushrooms, 3 ounces of sliced broiled mushrooms. You’re going to need a small pan with a handle. So you better have that—that little pan with the handle. You’re going to need a small pan with a handle. You’re going to need hot toast soldiers. Okay, let’s just recap really quickly, and just move things, really fast, fast as you can. You will need a small plate. You will need rabbit, lobster, mushrooms, white wine, hot toast soldiers. A can opener. Dinner in 45 minutes? It’s possible! Delicious? Of course! Mealtime, on time, will be no problem with Easy Rabbit Lobster. 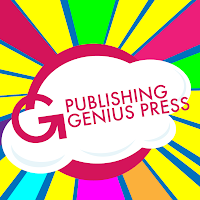 Mike Topp's first appearance with Publishing Genius came in Baltimore Is Reads issue 4. His next book, Sasquatch Stories will be released by PG in mid December. More info on the book and on Mike Topp is here. 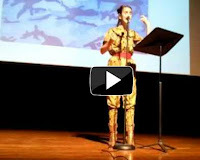 At an Andy Warhol-themed Literary Death Match, Stephanie Barber performs a poem she wrote for the occasion called "Who Got the Tuna." The recording starts late, after the poem explains that they are at a deli counter where the server continually calls out the titular line, until the patrons start to sway along . . .
Publishing Genius released Stephanie Barber's lecture, "For A Lawn Poem," as the third installment of what was then called "This PDF Chapbook." In September of this year, we re-released her DVD/book, These Here Separated. "These are scenes so quietly vicious that the sun tries to escape them . . . perpetual dusks, a winding down or screwing up? . . . We stood very close, limbs entwined, thoughts scattered, and nothing, I thought, could touch the virginity of our dreams. But we wake up always. We wake up." Speaking generally, how does that passage relate to your writing? Well, that’s a very intimidating first-pitch fastball! I think, with writing, I try and find that impossible moment, that moment that you’re not going into a room or leaving one--that infinite space between seconds, the time that is not now or the future or the past. I’ve never succeeded. But I’ll always keep trying. Your bio has lengthened considerably since "Cross Sections" came out -- let's see: the paperback version of Close Encounters; co-founding the 510 Reading Series which is a Baltimore Best of; a JMWW overhaul; a book forthcoming Dzanc; editing City Sages, the CityLit book about Baltimore; winning the Press 53 novella award. Am I missing anything? Didn't you run a marathon, too? What'd you have for breakfast today? Can you describe your routine? My life is very structured, since I do freelance editing from home, and thereby that eliminates the need for any specific writing routine. I just write in the spaces when I am not doing something else, whether it’s editing medical articles or jmww or jogging or sleeping. I would love to run a marathon, but my longest run is only six miles, so I have a long way to go! What is something you read in 2010, a story or book or whatever, that you capital-L Loved, and why? There’s been a few things—Dawn Raffel’s Further Adventures in the Restless Universe. I love her voice, her rhythms, and I love that there’s nothing I can do to imitate them. Dawn so completely has made up her own syntax, her own meters, and it’s the pinnacle of a writing career, when you can do that and no one can figure out how to imitate you. Similarly, Andy Devine’s Words. Having the balls to write your own manifesto, if you will, of what writing should be. And have it be wonderful. And kicking Janet Burroway in the shin to boot. Awesome! I love Matt Bell’s imagination and his lyricism, so How They Were Found was a treat. And the Collected Stories of Richard Yates. What is essential about writing? How does living in Baltimore affect your writing? Which has a bigger effect, the literary community (which, largely, you built), or just, like, life -- like living here in this bizarre city? I think it’s both, in different ways. I don’t write so much anymore about Baltimore or my family’s roots in Steel and manual rust-belt labor, but I still approach writing a “hon” mentality—Baltamoreans wear their hearts on their sleeves, and the real Baltimore in my stories is their interest in humanity, in people. Baltimore wills a certain humility and awe in us, I think. And that's what I always try to shine in myself, rather than any east coast elitism or cynicism. And you certainly can’t be either of those in Baltimore, anyway—there are so many honest, supportive writers that it’s hard to feel down on yourself for too long. There’s always someone encouraging you or challenging you. I love going to readings (and there are so many in Baltimore: 510 Readings, UB Readings, Hopkins series, Goucher, ie Readings, Last Sundays, Last Rites) and coming home challenged and inspired (and often sitting down to work). What's next? What will we do between now and 2013 when the Dzanc book comes out? I’m trying to finish a novel. I’m about 300 pages into the first draft. It’s about a man who lives forever (although the actual novel covers maybe 200 years). But it’s more about the innate loneliness of the human condition, and how we struggle and make peace with it (or don’t). But it’s been a lot of fun researching what’s in the novel—Poland during the partition era, turn-of-the-century immigration, World War II, the country music scene in the 1950s, the old smokejumpers from the National Fire Service. You know, stuff I like. Visit JenMichalski.com to learn even more about Jen. Before it was published in The Best of (What's Left of) Heaven (PG 2010), this poem appeared in poem, home: An Anthology of Ars Poetica (Paper Kite Press 2009). More information about Mairéad can be found at her blog, Heaven. a selection from Devine's "A Grammar for Fiction Writers"
Fiction writers are only fiction writers when they are writing fiction. Create a fictional world that is elsewhere. It doesn’t matter what happens in fiction. Meaning doesn’t matter in fiction. It doesn’t matter whether a particular character wins the race or not. Whether the dress is blue or green is inconsequential. The order of the letters in the English alphabet is not an accident. There are certain words that should not be used in fiction. Adjectives are not as bad as adverbs. The first words that children learn are nouns, and, given that, there should be a high proportion of nouns, a certain thinginess, in fiction. There are no synonyms in fiction. These aphorisms are collected, with dozens of others, in Andy Devine's book Words. Devine is currently touring the US. Details are available here. Ric Royer is the author of Hystery of Heat, the second installment of the Chapbook Genius series. Click on the image to read David NeSmith's new collection of haiku-comics. 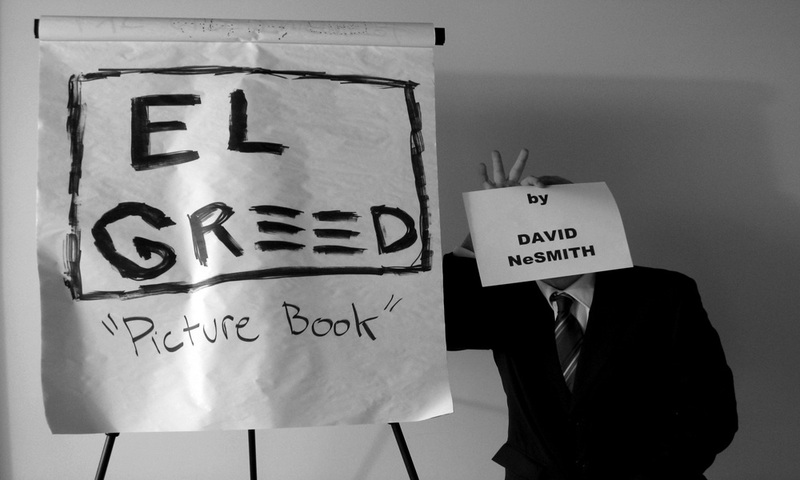 The first book Publishing Genius released was a collection of drawings by David NeSmith (still available for $4 or trade). "Picture Book" is a second helping of NeSmith's bizarre humor. The microfictions on this collage were originally published in Easter Rabbit. Joseph Young lives in Baltimore, and he is also the author of NAME, a vampire novel. Sold! One hair for one million dollars! Come right up! Come right on up! . . . But no one came up! And the auctioneer asked, who wanted this hair for one million dollars? And the voice said, Oh, I was just practicing my singing: (singing) me, me, me, me, me, me, me, me, me! Theresa Columbus is an artist who lives in Baltimore, MD. This piece was originally published in Everyday Genius on July 14, 2009. We left Fallujah as half of Fallujah was fleeing too – everyone hefting canned goods, bananas, Pepsi, and prescriptions in packed book bags with only enough room for one book. I brought my laptop. I brought a knife and a toothbrush. Khalil brought whatever he was wearing at the time. Our city will suffer for the men who were lynched. Their charred forms hung torn and naked from the bridge. Now black skies burp fire and the water boils poisonous. Boot heels collapse the necks of doorknobs. Men go and go missing. Now we go – follow the river. This piece is a selection from Justin's book MLKNG SCKLS, which collects deleted sections of a longer novel about the war in Iraq, Falcons on the Floor, forthcoming from PG in summer 2011. Sirois lives in Baltimore where, with Haneen Alshujairy, he founded The Understanding Campaign.